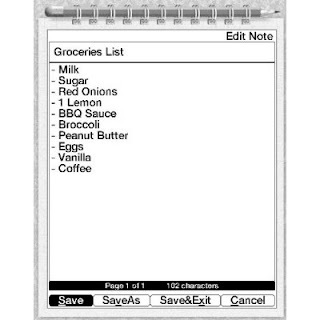 Several Notepads have been available for Kindle before but they weren't very good, but this new one from Notepad by 7 Dragons seems to be spot on.... real simple in design and function, and real simple to use: just like a pencil and paper! 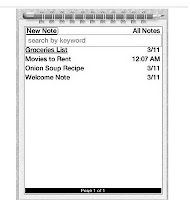 Notepad has a straightforward format: its home page shows your titles, and then enter one to see your notes. It could be a shopping list, address and phone numbers, a timetable for traveling, thoughts composed on a commute to work, a weekend To Do list, your annual goals or budget.... really anything! You can create and save notes, search and delete. Easy and to the point. And only 99 cents !